Sir David Brand School is a dynamic Independent Public School that works in partnership with families and service providers to inspire rich full lives. We have a well established reputation for specialised High Performance and High Care. We cater for students with disability aged from 4 to 18 years. 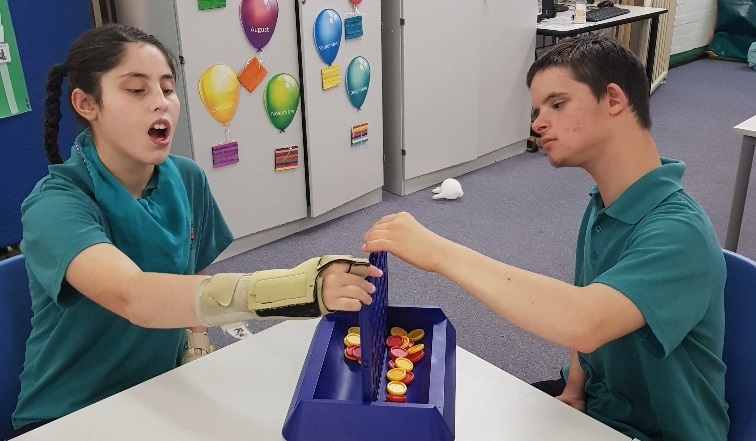 Our students’ special needs range from those with severe disabilities to students who are able to participate in functional life skills programs. Our programs are run at school and in the community. Autism Parent's Handbook Perth WA 2018 Essential guide to service and support in WA DDWA website. Kick-starting your child's career Journey a guide for families of young people with disability. DDWA website. Happy Sacks tactile input & sensory integration. SkillBuilders website. South West Autism Network's Information on Turning 16 and Disability (Financial Assistance) S.W.A.N. website. We have a positive approach to learning. We believe that all students have the capacity to learn. We have high expectations of our students and ourselves. We have a school that is free from discrimination. We recognise the differing needs of all students. We treat our colleagues, students and their parents with respect. We base our relationships on trust, respect and acceptance of responsibility.